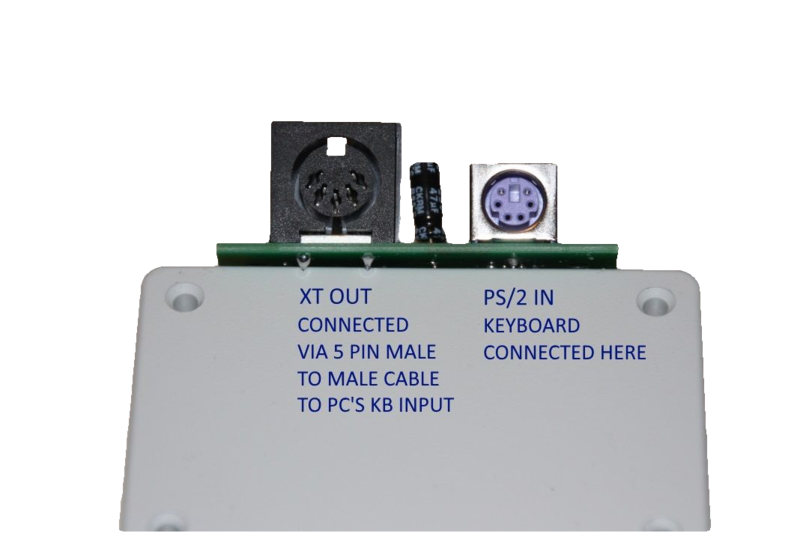 The AT2XT keyboard converter utilizes a PIC12F629 EEPROM coded with specific programming to convert the AT keyboard scan codes to XT keyboard scan codes. The unit will then send the newly converted scan codes to the PC as XT keyboard codes. 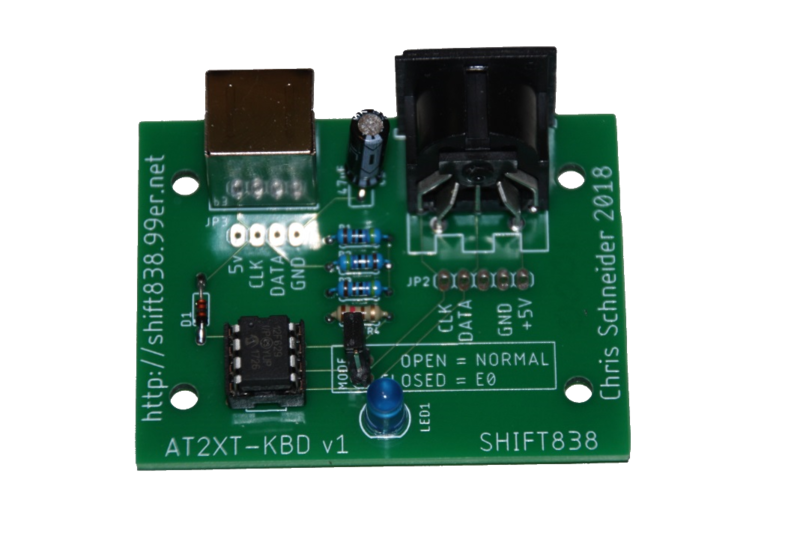 This board has been designed to fit in a standard Hammond 1591 XXL enclosure. The device is hooked up with a standard 5 pin straight through DIN connector such as a MIDI cable. New product as of July 2018! Note: Color of LED may be different depending on current LED stock at time of build. "I just wanted to write to you to thank you for selling me that AT2XT keyboard converter module. (Actually, I purchased 2 of these from you, and just got done installing one of them.) Since you noted that the Hammond 1591XXL case fits it, I ordered couple of 1591XXLBKs from Mouser. Got those in the mail yesterday, and drilled holes in one of them as needed. Bolted it all together and tried out the converter -- and to my elated surprise, it works REALLY WELL. I had purchased another AT2XT converter from another eBay seller, and his didn't work very well. It was a huge disappointment because my typing speed is so high (~130WPM) that it trips up the circuitry and causes missed keystrokes, repeated keystrokes, etc. The one(s) you sold me do not suffer from this. My 10MHz XT Turbo is now a happy member of my 4-node DOS gaming rack.